Hair for female sims. Ages from teen to elder. 7 colors + 1 gray included. NB! 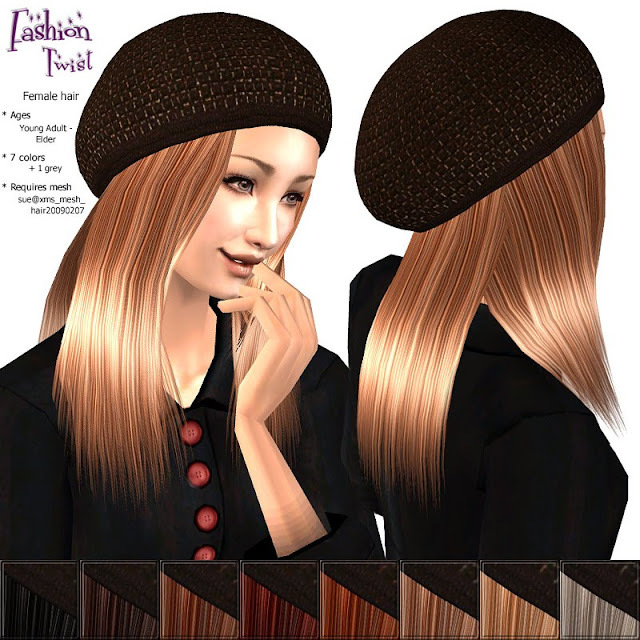 : Hair mesh by XMSims is not included, get it here.